The Amhara inhabit the northern and western highlands of Ethiopia. A traditionally orthodox people group, AIM and Serving In Mission are seeking to put a team together to live among them, working with local evangelical churches to share the news of Jesus with those who have yet to fully understand it. Please pray that Orthodox believers of Bahir Dar would encounter Christ in all his fullness and not only grow in personal relationship with him but also in sharing their faith with others. Please pray for Ethiopia during a season of organised public protest and political instability, especially for wisdom for the government of Ethiopia. Also for God’s favour and positive, mutually beneficial relationships with government officials and The Leprosy Mission—Ethiopia. Please pray for the safety and protection of people affected by leprosy, and the wider community and staff in the capital Addis Ababa and Amhara Region where much of our work continues. 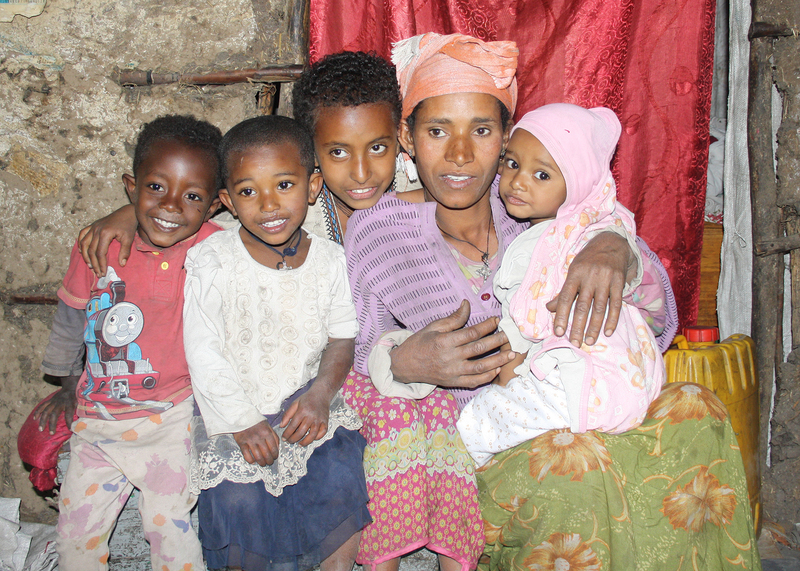 Give thanks for the renewed energy in the Ethiopian Ministry of Health to tackle leprosy, following the recent publication of a health report mapping cases across the country. NGOs, including TLM, are working with the Ministry of Health to intensify leprosy control in the disease hotspots that the survey identified. TLM partners with a Christian community organisation, Life in Abundance, which works in some of the shanty towns surrounding Ethiopia. Give thanks for the amazing work the organisation’s social workers are doing, by making house-to-house visits to people affected by leprosy, to give health education and to provide livelihood support. Please pray for the TLM team in Ethiopia: Tanny (Acting Country Director), Wogene (Programmes Officer) and Berihun (Administrator), as the office is in the midst of staff changes. Muslim-background believers in Keranso village, Ethiopia, are increasingly being targeted by Muslim extremists. In January, three believers lost their houses in an arson attack. Thank God that no one was injured and ask Him to provide for those who have suffered loss. Pray that believers in Keranso will stand firm in the face of growing opposition to Christianity. EvaSUE, the Christian student (IFES) movement in Ethiopia, has experienced dramatic growth in the last 10 years. Since 2002 almost 280,000 people have heard the gospel through them and an astonishing 23,000 people have come to Christ. In addition, more than 1,000 student leaders are trained by the movement every year. Praise God for this important ministry of evangelism and discipleship and for the impact that its graduates are making. The number of new cases of leprosy is rising in Ethiopia. Pray that the government there will recognise this issue and work with organisations to ensure health professionals and community health workers are better able to diagnose and treat the disease. Pray for the community affected by leprosy living in the slum near to ALERT (All Africa Leprosy, Tuberculosis, Rehabilitation and Research Training Centre) hospital in Addis Ababa. Also ask God for people and funding for a new initiative, in partnership with TLM Ethiopia, aiming to address health, sanitation and livelihood issues in this community. In Ethiopia the Church is playing a central role in putting ordinary people in charge of their own lives and giving them a new sense of direction. More than 7,000 local churches are being encouraged to reach out to their communities and address poverty issues by assisting in the setup of Self-Help Groups (SHGs) made up of 15-20 local people. Members of these groups are encouraged to start saving their money with the intention of providing loans to each other for small scale business ventures. Worku Gollie, from EKHC, the organisation behind the initiative, explains: “During the coffee harvest, people earn money from harvesting and selling coffee beans but tend to spend all they earn and then go hungry. The SHG approach is changing this culture and this is making a difference.” Pray that SHGs continue to have a positive impact within communities and that these changes are a beacon of hope to others.